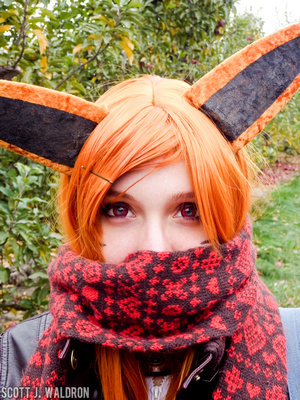 Yesterday I went to a cosplay meetup that my friend organized. 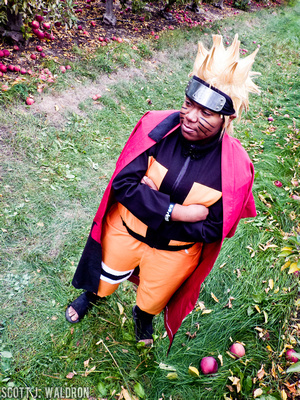 It was located at Edwards Apple Orchard Cosplay in Poplar Grove, IL. If you frequent this website or my Youtube channel, you probably know I’m in the process of switching out my DSLR equipment. Right now I only have the Pentax Optio WG-II, so I used that. As well as a second article that talks more about the meetup and orchard than photography. This camera is, at times, more challenging to use than a DSLR. The inherent limitations of a small camera require a certain level of care to produce a decent result. I think that I was capable of extracting about 70% of the camera’s technical capability, but I did make quite a few mistakes throughout the photo taking sessions. Most importantly, the camera needs ample time to gain proper focus before I recompose the frame. Even with a small aperture lens and small sensor, this was an issue. The telephoto end of the camera seems a lot more difficult to use properly. With the maximum aperture of f5.5 on that end, you need especially good light to make it work. I also noticed after the fact that when I cropped images, I used the APS-C ratio instead of the camera’s original. For processing, I was able to use Adobe Camera RAW to edit the JPEG images from the camera. While functionality is limited compared to actual RAW images, it is a better interface and level of control than I would have in Photoshop itself. Overall, I’m happy with the results from the camera. The results remind me of the Pentax K-7. Dynamic range is probably the true limiting factor of a camera like this. The large depth of field from the small sensor can be managed, but of course, it is also unable to produce images the likes of a full-frame sensor where the background is completely blurred out. 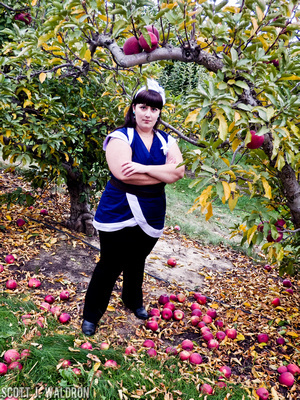 This entry was posted in Conventions, Photography and tagged cosplay, edwards apple orchard, fall season, optio, pentax, wg-2, wg-II. Bookmark the permalink.